Zenyatta. A big, beautiful mare. Dappled out, the champion is relaxed in her new surroundings at Lane’s End Farm near Versailles, Ky.
She has been handwalked daily since her arrival. 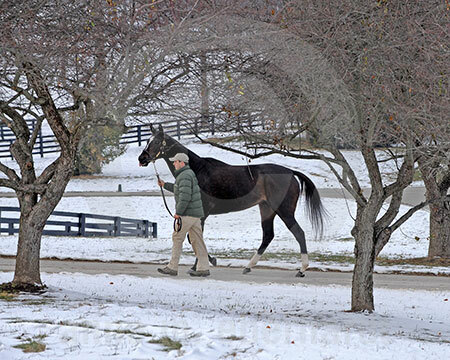 On December 9, for the first time, Zenyatta was walked around in her paddock. With her was Charles Campbell, Broodmare Manager at Lane’s End. Her habit of stopping to look around continues at the farm. And every once in a while she would do her well-known strut. 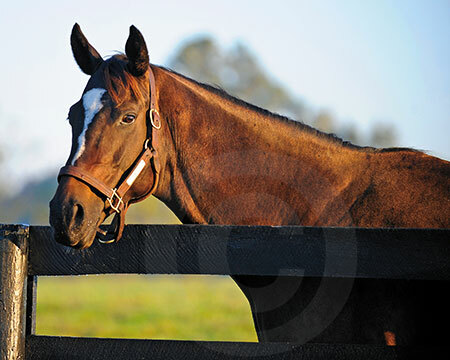 The mare seems content as her life as a broodmare begins. 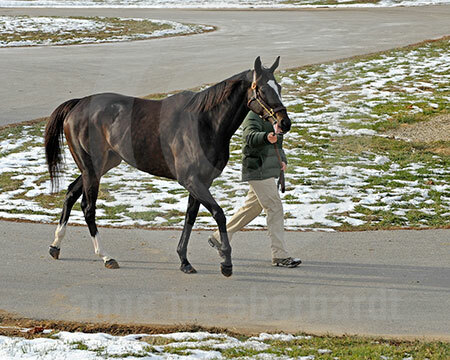 In addition to these great photos you can also view photos from her public appearances at Keeneland and Hollywood Park before she arrived at Lane's End Farm.